Adding beauty and security to your landscape. No matter what the time of year, winter, spring, fall, or summer, there is always hidden beauty waiting to be discovered in your home landscape. 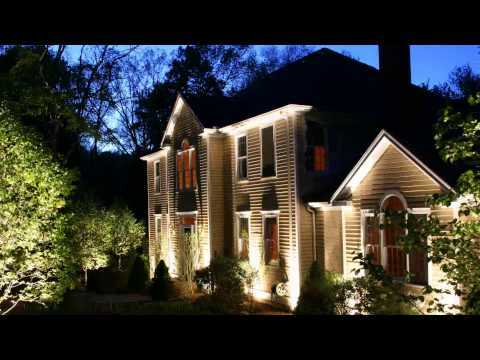 Effective landscape lighting is an art. A professionally designed and installed outdoor lighting system can distinctly enhance the beauty of your home and landscape at night. A properly designed and installed outdoor lighting system adds to the beauty of your landscape as it extends the hours of enjoyment and the functionality of your outdoor living space. A properly installed low-voltage landscape lighting system also increases the security, safety, and market value of your home. East Coast Landscape Design will provide everything to complete your project, from engineering design to wire and fixtures. We only use the highest quality lighting manufacturers that use brass, copper, stainless steel and aircraft-quality aluminum designed to last a lifetime. 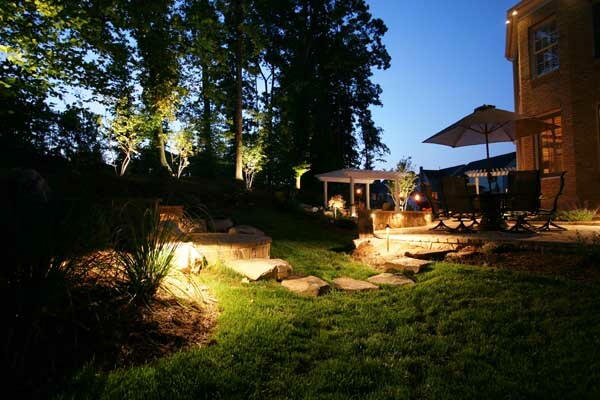 Let one of our East Coast landscape design specialists show you how a well-designed lighting system can add to the beauty and safety of your home landscape.